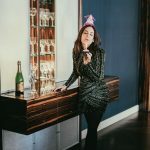 Two weeks ago, I switched up my exercise routine which is something I had been adhering to for years, and was excited to commit to something new and fabulous and what I thought perhaps might be scary and intimidating – a 5 day, 90 minute, pre-holiday body prep workout taught by celebrity trainer and dancer Amanda Kloots. 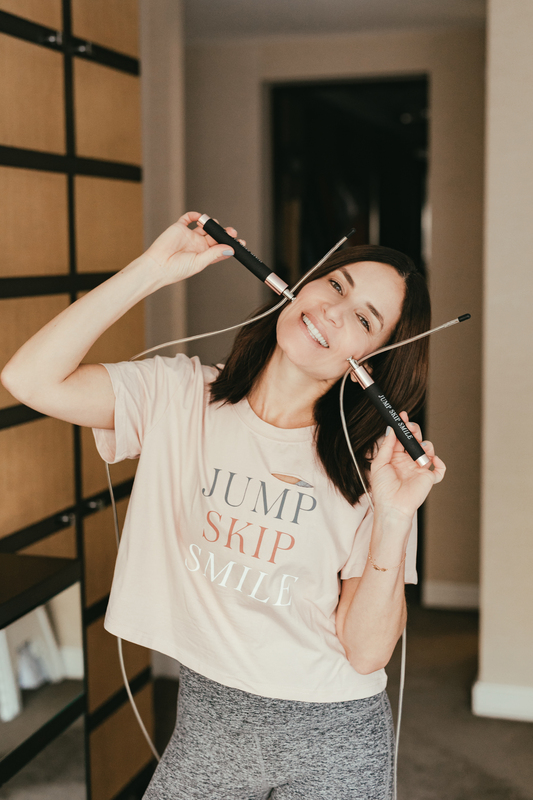 I was initially drawn to her jump rope class and I loved it so much that I decided to book a one on one session with Amanda. I recall barely surviving the class, and what left a lasting impression was her upbeat, all smiles personality. I couldn’t help but wonder, could she be for real? Fast forward two years and one too many Justin’s Peanut Butter Cups, and I saw Amanda’s post on Instagram for a week long intensive workout and I immediately signed on. I had a good friend sign up with me which made the challenge that much more fun! First, I’d like to clarify that Amanda Kloots is the real deal. This former Rockette is chock full of positive energy and she brought her enthusiasm to each session. So why was I excited yet scared? Excited about the gift of intense fitness yet afraid, because who could survive 90 minutes of cardio? Remember, I am that person who arrives to my trainer 15 minutes late to avoid the hour workout. Amanda began promptly with a warm up, a bit of stretching, a fun dance routine, followed by killer resistance training, punitive planks, high repetition arms and legs, with some rope activity thrown in for good measure. Let’s just say, I never knew sweat was so salty. As someone who typically opts for one on work outs, I truly enjoyed the positivity of the group setting, yet intimate enough where Amanda was able to give each of us personalized attention. She constantly corrected our form, and stressed the importance of engaging all our body parts so as to achieve maximum results. She pushed me beyond my limits and encouraged me to put in 100% even when I wanted to collapse on the floor and retreat into child’s pose. I must say the 90 minutes flew by, and after each session I was truly proud of myself for working so hard – let’s just say my endorphins were definitely on overdrive. By the weeks end, I came away feeling stronger, leaner, more confident and ready to conquer the Thanksgiving weekend with gusto. For those looking to kickstart the new year on the right foot, be on the look out for Amanda’s next intensive program sometime in January. 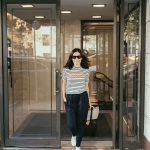 You can follow her on Instagram here. You can also check out her daily class schedule here. 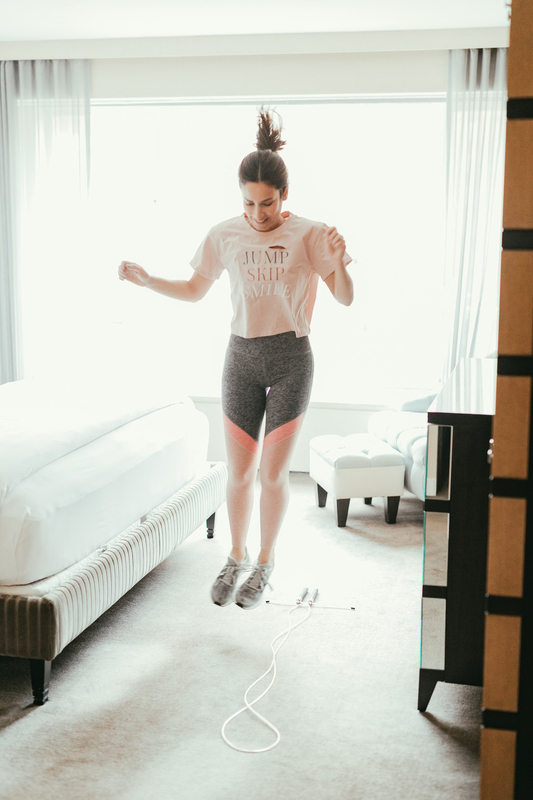 For those who prefer to work out in the comfort of your own home, you can stream Amanda’s Dance Cardio Workout video or Rope Toning Workout. And Amanda, if you’re reading this, please consider holding a 5 day intensive program on how to style your hair. If you haven’t seen Amanda’s amazing braids and buns on her Instagram feed, you must check her out. Oh, and her outfits are pretty dope too. Do you do group classes? If so, please share your favorites below!